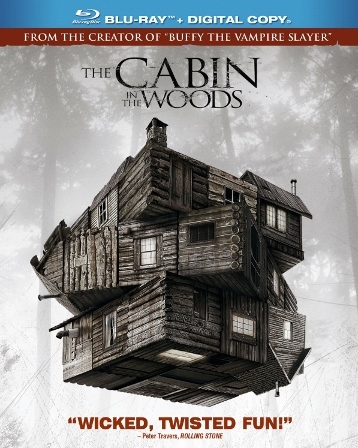 Joss Whedon and Drew Goddard’s The Cabin in the Woods Hits Blu-ray and DVD Sept. 18! Lionsgate is releasing critically-acclaimed (90% “Fresh” on Rotten Tomatoes) The Cabin in the Woods on Blu-ray and DVD September 18, 2012. The “genre-bending” horror film, directed by Drew Goddard and produced by Joss Whedon, did only modest business theatrically ($42 million domestically) but now has an opportunity to find a wider audience. Goddard and Whedon co-wrote the film (Goddard wrote numerous episodes of Whedon’s TV series’ Buffy the Vampire Slayer and Angel). Whedon’s Marvel’s The Avengers hits Blu-ray and DVD the very next week (September 25), making late-September a very good time for his fans. Oh, and Thor himself, Chris Hemsworth, is one of the stars of The Cabin in the Woods. If you missed it in theaters, it’s the type of movie that is most effective when you know the least about it beforehand. What starts out as a typical “college kids going to party at a remote wilderness cabin” type of movie soon gets turned completely upside-down in a series of Twilight Zoneish twists and turns. Also making up the ensemble cast are Kristen Connolly (The Happening), Anna Hutchison (TV’s Wendy Wu: Homecoming Warrior), Fran Kranz (Topher on Joss Whedon’s short-lived Dollhouse series), Jesse Williams (TV’s “Grey’s Anatomy”), Richard Jenkins (The Visitor) and Bradley Whitford (TV’s “The West Wing”). So what does Lionsgate have in store for us in terms of special features? Quite a bit actually! 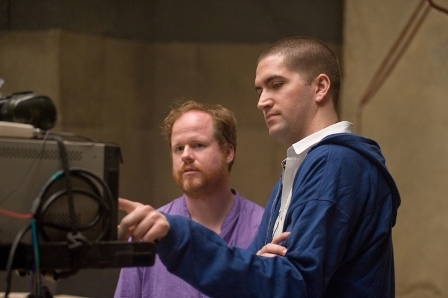 The film will feature audio commentary with writer-director Drew Goddard and writer/producer Joss Whedon. A ‘making of’ documentary called “We Are Not Who We Are: Making The Cabin in the Woods,” and also “The Wonder-Con Q&A with Joss and Drew.” Three featurettes: “The Secret Secret Stash,” “An Army of Nightmares: Make-Up & Animatronic Effects,” and “Primal Terror: Visual Effects.” The Blu-ray and DVD are both set to include a Digital Copy as well. While the above features will be included with the Blu-ray and DVD, exclusive to Blu-ray is “It’s Not What You Think: The Cabin in the Woods” Bonus View Mode. The Cabin in the Woods on Blu-ray will boast a 1080p high definition transfer framed at 2.40:1 and a 7.1 DTS-HD Master Audio soundtrack. Both the Blu-ray and DVD are currently available for pre-order at online retailers.